Wedge wire filter is a kind of metal filter element, it is the core component of the backwash filter. ZHEHAN is the largest manufacturer of wedge wire filter in North China. This blog introduces the application of wedge wire filter and backwash filter with wedge wire filter as its core in water treatment. These are its characteristics and the reason why it is becoming more and more popular. 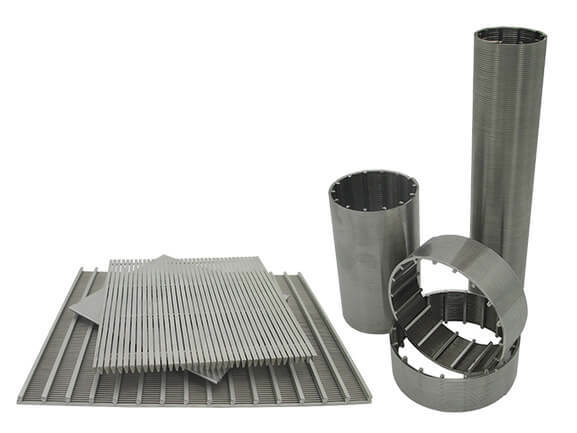 In the future world of metal filters, wedge wire filter and sintered filters will continue to play an important role. 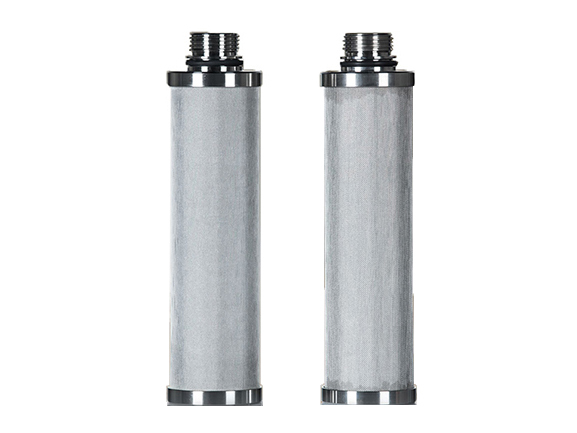 For more information about wedge wire filter, you can see our product introduction page. Backwashing and filtration of water treatment equipment can run continuously for 24 hours. It can effectively remove sediment, clay, rust, suspended matter, algae, biological slime, corrosion products, macromolecule bacteria, organic matter and other micro-particles in raw water. To achieve the purpose of water purification and ensure the safe and reliable operation of water treatment equipment backwashing and filtering. Water treatment equipment has large backwashing filtration flow, high filtration accuracy, simple structure, and easy operation. The effluent quality meets the relevant national health standards. If there are a lot of impurities in the sewage, the wedge wire filter should be used when dealing with the sewage. At present, the water treatment equipment of large flow through the filter is widely used in the coal mine. Because of the restriction of structure, the maximum flow rate can only reach 380 L/min, and the water treatment equipment of this filter can reach 800 L/min or larger. There are two or more groups of filter elements in the water treatment equipment of backwash filter, which have large flow area and small loss of original pressure. It can achieve large flow and high precision filtration. However, the traditional water treatment equipment of filter is difficult to achieve. 1. The water treatment equipment of automatic backwash filter has high filtration accuracy and stable effluent quality. 2. Through its own retrieval and strain function, automatic backwashing can be realized, which can cope with unstable water quality fluctuations without manual intervention. 3. The water treatment equipment control system of the automatic backwash filter is sensitive, accurate and flexible according to different water sources and filtering accuracy. 4. Efficient and thorough cleaning, strong system recovery, the filter can be used for life without replacement. 5. Automatic backwashing filter water treatment equipment backwashing without interrupting normal water production, continuous operation, stable and reliable. 6. The backwashing time is short, and the backwashing water consumption is only 0.001-0.002% of the normal water production. It saves water, electricity, and energy. 7. The water treatment equipment of automatic backwash filter has compact and reasonable structure design, small floor area, flexible and convenient installation, and movement. 8. The equipment has less vulnerable parts, no consumables, low operation and maintenance costs, and simple operation and management. 9. The water treatment equipment of automatic backwash filter has a wide range of applications and can be applied to different raw water quality and water requirements. Equipment that has certain requirements for water quality, such as cooling towers, rolling mills, continuous casting machines, polishing machines, electric ion exchangers, sprayers, heat exchangers, etc., can be used for water supply and drainage pipelines, which can filter out impurities in water and prevent blockage of parts. It can filter surface river water, Lake water, seawater, reservoir water, well water and groundwater to remove sand, bacteria, algae, organic matter, etc. It can be used for wet dedusting of boilers for water filtration and seawater filtration. Cooling tower, supplementary water system, air conditioning system, DC system water filtration, reduce the precipitation in the heat exchanger, maintain its cooling effect; Power plant cooling steam turbine. Liquid, industrial wastewater, emulsified liquid regeneration, and waste oil filtration: continuous casting water, blast furnace water system, high-pressure water descaling system for hot rolling. Water treatment equipment backwash filter has small volume, high automation, long-term unattended operation, can be directly installed in pipelines, especially suitable for field use under various technological conditions. There is no need to install backwashing water source for backwashing by using water pressure of the main pipeline. The practice has proved that the water treatment equipment of backwash filter is higher than that of "tubular" filter in one-time input. However, the operation is simple and easy. Without changing the filter element after encountering pollution, a supported filter can be cleaned in 15 seconds. When water treatment equipment without backwash filter is blocked, water treatment equipment of automatic filter, water treatment equipment of filter, comprehensive water treatment device of the whole process and electronic descaling device can only replace filter element, which takes 15-30 minutes each and is liable to secondary pollution. The latter is much higher than the former. Therefore, it is necessary to choose the water treatment equipment of backwashing filter which has the functions of filtering, self-cleaning and cut-off. If you have other questions about the wedge wire filter, or want to ask about the price, you can leave a message on the website.